New Delhi, April 9: After China called India's patrolling in Arunachal Pradesh's Asaphila, a 'transgression', the Indian Army said that it will continue their patrolling up to the Line of Actual Control. 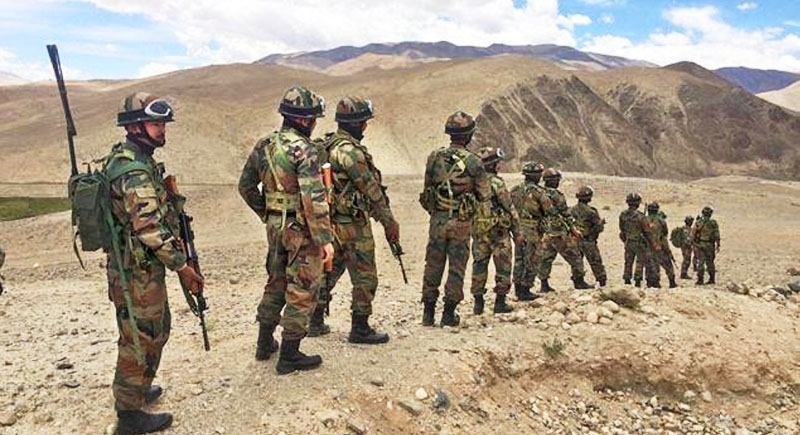 According to news agency PTI, the Indian Army has made it clear that the area in the upper Subansiri region of Arunachal Pradesh belongs to India and that it has been patrolling there regularly. The Chinese raised the issue at a ‘Border Personnel Meeting’ (BPM) on March 15 here but the Indian Army dismissed it, saying that the area in the upper Subansiri region of Arunachal Pradesh belongs to India and it has regularly been carrying out patrols there. The Chinese called India’s patrolling in the area a “transgression” and the Indian Army objected to the terminology. In what appears to be a dare to the Indian government, China’s People's Liberation Army has built several camps and houses across the Line of Actual Control in Arunachal Pradesh. The constructions were made on the opposite side of Kibithu town in Anjaw district. It is one of the five Border Personnel Meeting points between the Indian Army and the People's Liberation Army (PLA).